Harvest House Publishers, 9780736929462, 385pp. 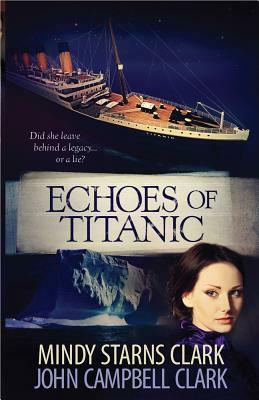 Now facing a hostile takeover, the firm's origins are challenged when new facts emerge about Adele's actions on the night Titanic sank. Kelsey tries to defend the company and the great-grandmother she has long admired, but the stakes are raised when Kelsey's boss is murdered and her own life threatened. Forced to seek help from Cole Thornton, a man Kelsey once loved--and lost, thanks to her success-at-all-costs mentality--she pursues mysteries both past and present. Aided by Cole and strengthened by the faith she'd all but forgotten in her climb up the corporate ladder, Kelsey races the clock to defend her family legacy, her livelihood, and ultimately her life. Mindy Starns Clark is the bestselling author of more than 20 books, both fiction and nonfiction, with over a million copies sold. Mindy and her husband, John, have two adult children and live in Pennsylvania. www.mindystarnsclark.comJohn Campbell Clark is an attorney and CPA who works in the Christian nonprofit field. Married to Mindy Starns Clark, he has served as her brainstorming partner, research facilitator, and first reader for many years. A lifelong Titanic buff, he is pleased to be coauthoring with her now. John and Mindy live with their two daughters near Valley Forge, Pennsylvania.